Home » Blogs » brad's blog » Tons of new ideas in aviation. Will regulation stop them? 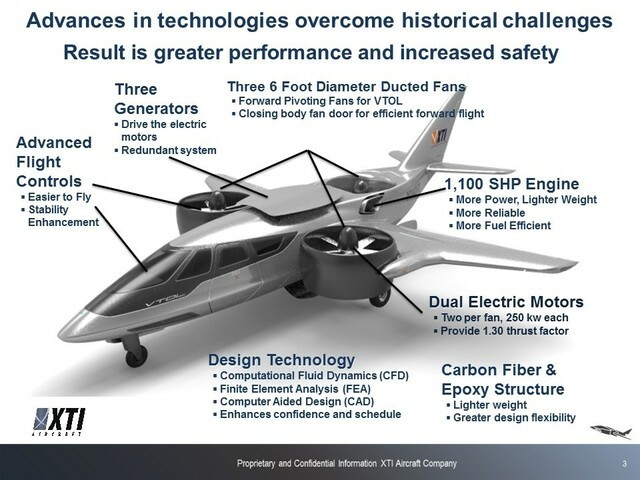 I've said this before, but now there are around 100 active projects to build eVTOL aircraft -- electric vehicles which can do vertical takeoff and landing. I have written about several of these and will write more. They are of course very interesting, and the strongest competitor to robocars in terms of giant effects on transportation. These vehicles are more competition for ground transportation than they are an issue for business jet operators. In fact, they would be a boon to business jet travel because they will first be allowed to operate at airports, and offer a great first/last miles option. Noise are regulations sit in the way, so the business aviation world still sees these in a limited way. There was an interesting session, if not tremendously useful, on the question of whether passengers will get in autonomous aircraft. Already perhaps 20% of the population has some level of fear of flying, though it doesn't always stop them from doing so, they just hate it. Some whispers suggest that half the population has never flown. These folks are not going to readily jump into these vehicles -- which I thought was obvious -- so I instead want to know more about what the general public will do. Unfortunately, surveys about attitudes on future technology are not very useful. People were afraid of automated elevators too, but that's a thing of the ancient past. Electric propulsion makes VTOL (and other stable multirotor) operation possible, but battery technology isn't there yet, nor is it expected to get there for some time. Today, it is possible to make short range aircraft that can go anywhere from 40 to 100km, which is fine for urban air taxi operations. There's still lots of interesting benefit in hybrid-electric aircraft, which have electric turbofans and generators and batteries on board. These vehicles, on paper at least, are promising benefits like much lower fuel use and operating costs. Aircraft only need full power on takeoff, and they cruise at half that, so the battery pack can provide that surge (and get recharged once cruising) and also run the plane long enough for an emergency landing if the single turbine driving the generator fails. The Zunum Aero is the most developed of such aircraft. It will be either a 6 seat business "jet" or a 12 seat short haul "jet," but faces an interesting problem in the 12 seat configuration because FAA rules demand 2 pilots if you go over 8 passengers. That's not economical, so they expect these regulations might change, allowing the use of one pilot, possibly supplemented by a remote tele-operating copilot when needed. They promise the ability to go between all the small airports that are much closer to people at prices less than commercial air tickets today. They have partnered with JetSuiteX which is trying to do that already with existing jets. Two interesting vehicles included the XTI Trifan 600 which is a hybrid e-VTOL. It's able (or will be) to both take off and land on helipads and be an efficient medium range business "jet." For now, it plans to be in the business jet market. At the high end, Aerion Supersonic wants to bring back supersonic (gone since the death of the Concorde) with new designs that use much less fuel and make much less noise. High end business jet for now, so not for you, but eventually in passenger service. Another interesting design are blended wings, first developed but never exploited at major vendors like Douglass. New blended wing designs offer aircraft that are super-wide but highly efficient. The Dzine Ascent 1000 might produce an aircraft that's much more pleasant because of its large cabin and efficient flight. The theme of the supersonic presentation was that time is the most precious commodity, and supersonic flight offers that. I think that aircraft where space is at less of a premium which can offer real, comfortable sleeping can also offer the gift of time, particularly on the long haul routes. The best routes for this are the north-south routes, which are only run at night and don't change time zones very much. On those planes, if you get a really nice bed -- real mattress, wide enough to be comfy, quiet environment and privacy, they can be like teleporters, taking little conscious time at all. Hundreds of companies have come to VCs wanting to build "the Uber for private plane charters." While there have been a number of improvements in digitizing that business, it's still a fairly archaic one, with many operators still working with paper folders. There is a serious pilot shortage. Work is intermittent and good pilots can get steady work at airlines. Most private jet flights are hugely expensive -- average of $22,000. Even paying for them is complex, as operators want to be prepaid and don't take credit cards. Most flights are super high touch, with dozens of phone calls (usually to the assistants of the people booking flights) and customized concierge services you expect at that price. Getting a plane back to base remains a problem. (Today in the charter business, a one way trip costs almost as much as a return trip with many operators. The "private planes" that might be offered up are owned by wealthy individuals, some of whom want to control who uses their plane or be contacted before any use, and may take a day to respond. Even so, there is some hope for improvement, but as long as regulation keeps things as they are, it's not so likely. Remember that Uber started by breaking (old and stupid) rules left and right until it became so popular that the rules got changed. That's unlikely in aviation. A few companies have tried to make Uber style services for private pilots. Private pilots are not allowed to charge for flying. They can share operating expenses with buddies who happen to be flying with them. Sites that paired up people wanting to fly with pilots were shut down by the FAA because they looked too much like commercial services, which demand much more expensive commercial-maintained planes and rated pilots. A new service called Hitch is trying to find another way around those rules. The rules make sense on the surface -- you want people flying with safe planes and pilots. General aviation flying is more dangerous than driving -- about 20 times more deaths per hour, probably 5x more per mile. (Commercial aviation is indeed much, much safer.) More advanced pilots, with instructor ratings or instrument ratings, do better, and it should be possible to generate some new sets of classifications that are not as prohibitively difficult as the commercial ratings but which provide a level of safety matching cars. This would open up a whole new range of interesting options -- which would be fought by the commercial operators because it would undercut their price. One of the problems for the future is ATC, which today is done in archaic ways only by humans. It's been possible to make computerized systems for many years but many legacy forces have stopped it. One legitimate concern is the issue that if the computerized system fails, humans can't take over for it because they don't have the capacity, and we would not know what to do with all those planes in the air, and all those people wanting to fly. It would have to be super robust. For drones, people are experimenting with automated ATC, including a company like AirMap. I am not sure the problem is super hard in a world of eVTOL aircraft that can fly very precise flight paths, following lanes in the sky (within limits.) This is even more true with the high accuracy localization (beyond GPS) which is possible with minimal equipment over cities. In the air we can have hundreds of vertical lanes and thousands of horizontal lanes, and could allocate them so that you never encounter another vehicle unless it's going along your exact route. Those vehicles can be spotted with moderate range sensors (as cars will do) and avoided. There is no need for complex ATC or even for vehicles to talk to vehicles or much to infrastructure. No need, but you could do it, to improve and optimize the system, but things would still work if the system were to break down. It's only the big jets that need 1000' vertical separation and long following distances to avoid jetwash that need that much coordination. Everything I've read about the pilot shortage says that for regional airlines, the pilots do not get paid enough to cover their training costs and live. “Basically once we started to fund training then it satisfied the pilot shortage,” he told Reuters by phone from Florida. Newly trained U.S. pilots are usually required to teach at flight schools to gain the hours needed to join an airline. The companies hoping to make a return to small plane aviation -- be it Uber Elevate with thousands of copters, or these small business and regional jets -- all face the problem of needing pilots. What you say suggests the only way to solve that is money, which hurts the economics of these small planes, especially if they go over 8 passengers and then need 2 pilots. The 2 pilot requirement is pretty silly, and they hope they can change it. And of course, to some day do zero pilots. They don't want to pay, and aviation is probably the worst. I believe pilots get paid more in a per flight hour, not on duty hours, as well. You don't make decent money until you have some seniority at a major carrier, and you may never get there if your luck is bad (get up into an airline slot, get laid off in a downturn, repeat infinitely). Nursing and science is much the same. Even though eVTOL aircraft are far quieter than conventional helicopters, they still can create a fair amount of noise, especially if there are lots of them. A few points that could cause problems. There could be a certain amount of envy from the large number of people that could not afford such travel that motivates governments to enforce strong noise regulations. Negative campaigns, whether justified or not, can become quite influential in how regulations are enforced or relaxed. It would not be helped by the fact that wide scale adoption of EVs at the street level greatly reduces the background traffic noise and so makes any noise from eVTOL aircraft more noticeable. Yes, I have talked about that in my other articles. Right now, all the plans revolve around heliports where the noise is already OK. Later they will move to "new heliports" which are not close to houses but are little more than bits of pavement. Several companies believe they can get the price of a ride similar to an Uber, so no envy.